In today's society, it is easy to overlook your health as your finances and career often take up the majority of your time and energy. Although you cannot simply ignore these two factors in order to get and remain successful, it is also vital that you take care of your health and well-being as well. It is even more important that you take the time to address your dental health. Bupa was formed in April 1947 with the main purpose of relieving, preventing and curing sickness and all types of bad health. This philosophy was enshrined in the company's first constitution, and over the years it has been combined with a caring ethos that includes patients' freedom of choice. The company also has deep historical roots in Australia. In fact, the health insurance company that was slated to join Bupa in the early 2000s was founded in the 1930s. Over the past seven decades, Bupa has strived to provide affordable, high-quality health and dental care. The company's drive has allowed people to live happier, longer and healthier lives. In the 1990s, Bupa acquired Barbican Healthcare. This was the catalyst the company needed to not only strengthened the company's occupational screening and health activities, but also allowed the company to expand into offering dental services. Bupa's Dental Cover 20 is a dental cover policy for patients who are privately registered. Bupa will pay up to $250AUD annually for dental treatments like polish, checkups and scaling. The company will also pay up to 75% or $1200AUD for other types of dental treatments like bridges, crowns and fillings after a 120 day waiting period. Anyone who uses a Bupa centre in Chatswood can potentially benefit from enrolling in Bupa's Dental Health Plan. This type of plan could help you plan and manage routine dental services for you and your family without stressing out about the cost. When you become a member of Bupa's Dental Health Plan before visiting a Bupa centre means that you will not be obligated to pay for a new patient exam, and that any dental routine that is not excluded, will also be covered. The amount covered will be based on your cover's benefit limits. So, why choose Bupa's Dental Health Plan for your dental services? You will receive immediate coverage without having to deal with pre-enrollment checks or underwriting. You will also avoid having to fill out forms for any routine that is covered by your dental plan when visiting a Bupa dental treatment centre. Currently, there are over 140 Bupa clinics in Australia. The company is dedicated to ensuring your dental health is a top priority. A quick search online will yield the results of every Bupa owned Members' First Network Clinic. 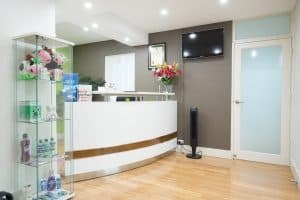 Each clinic is accredited so you can be guaranteed the dentist is committed to Bupa's policy of providing excellent customer service, and the clinic is either accredited or undergoing the accreditation process according to the National Safety and Quality Health Service Standards. You will also be able to take the proactive steps to make sure your child's teeth are healthy as well with the No Gaps Kids Dental Program. You will not incur any out of pocket expenses for X-rays, annual checkups or fillings your child may need. Your dental health is the cornerstone to your overall health and well-being. By choosing a Bupa Dental Centre in Chatswood, you are ensuring you eliminate your risk of acquiring preventable dental conditions with the right care. My friend had dental treatment and she said that Dr Gupta is friendly, respectful and informative. I am looking to visiting this Chatswood dentist. Besides, the clinic is in a convenient location in Chatswood. It is clean and bright.